These comments will go directly to Flower Shop Network. This is NOT a method of direct communication with ROBIN'S MAIN STREET FLORIST for the purposes of ordering or rectifying problems. The flowers were beautiful and my Mom loved the. Delivered exactly when I asked. Everyone that came by her room commented on the arrangement. Definitely did a great job and will be happy to use your company again. I’m so happy she liked the flowers! Thank you for choosing us! We appreciate your business and thank you for the great review! very nice flowers and customer service. The flowers I ordered from you were absolutely beautiful! You do a beautiful arrangement. Definitely will be using you again for my Nc needs. I ordered online through their website. The arrangement arrived within hours, as requested, and as pictured. I definitely recommend using this florist and thank them for their efficiency. Plus the flowers were gorgeous! Thank you for the great 5 star review! We appreciate your business and look forward to helping you again! Thank you John for the great review! I’m so glad I could help! I appreciate your business! The flowers for Mothers Day were beautiful and I would recommend them to everyone. Thank you for the 5 star review! So happy you liked the flowers! Thank you Elaine for trusting me to take care of your floral needs. I appreciate your business and I look forward to helping you again in the future. Thank you! I’m glad you liked them! I'm so happy you are enjoying them! Thank you for the 5 star review! 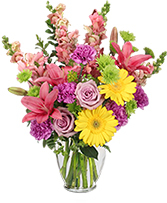 Beautifully done, always on time , deal place to order flowers for loved ones from afar. Thank you for the 5 star review! We appreciate your business, and we hope to have the opportunity to serve you again! Flowers were beautiful and delivery was timely. I would definitely use this florist again. 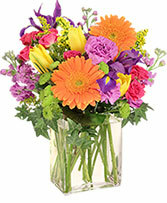 Excellent, professional and beautiful flowers. Beautiful flower arrangement for my daughter's birthday. She loved them. The bouquet was full of all the flowers I requested. I will definitely order from Robin again. Love the flowers. Beautiful arrangement that I've for a week now and they look as fresh as the day they were delivered. The flowers were beautiful and just as pictured. Thank you for the 5 star review! We appreciate your business and are so happy you were pleased. My fiance got my flowers for valentines day here and they were absolutely gorgeous! The prettiest flowers I have ever received. They lasted about two weeks, I will use this florist from now on!! They nailed it. I ordered at 9 and they delivered by 1 pm. My mom was happy. Thankful for Robin's bringing joy and beauty to my mom. I will be using again. 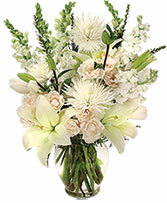 Thank you for choosing Robin's Main Street Florist! Thank you for the 5 star review! I'm so happy she liked the flowers! I appreciate your business and hope to serve you again in the future. 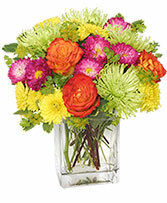 I am very pleased with all the beautiful fresh flower arrangements I have sent, and received as well. She has designed several cemetery cones for me that are absolutely beautiful. Robin is very talented and creative with her floral designs. She has definitely found a life long customer with me and my family.